Today, we are extremely excited to launch the new Station Creator. In addition to listening to dozens of hand-curated stations, now anyone can make their own personal Scout FM stations from their favorite podcasts, either from Scout FM or anywhere else they discover podcasts. Just like with the current curated Scout FM stations, the personal stations automatically update with the newest episodes and sort themselves based on what you really listen to. When we first launched Scout FM, our goal was to make listening to podcasts much, much easier. Like traditional radio, Scout FM stations just start playing, which makes them very easy to use for people new to podcasts or people frustrated with podcast discovery. 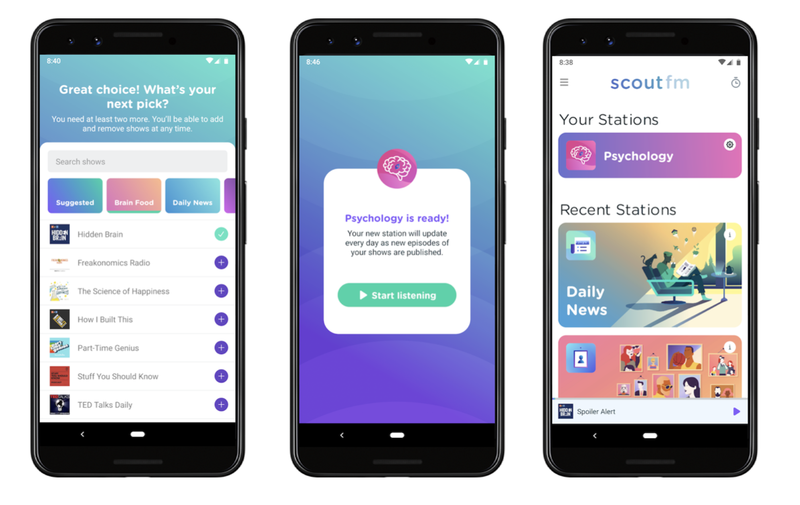 Scout FM’s hand-curated stations play the best podcasts and radio shows around interests and genres like the news, true crime or mindfulness. This is very different from the other podcast apps where you find and subscribe to individual shows, and managing subscriptions can quickly become overwhelming. We’ve listened to our users, and starting today, you can find the Station Creator in the main menu of the Scout FM apps on Android and iPhone. Our beta testers so far LOVE it. The Station Creator is simple and easy to use. 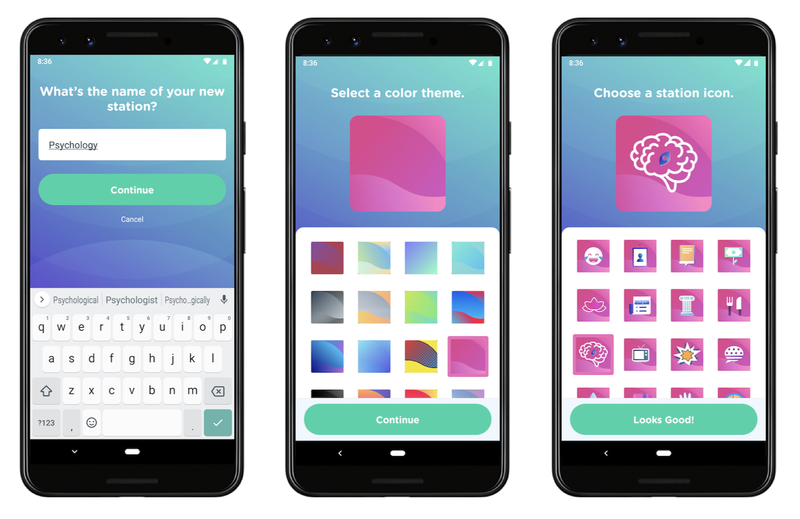 First, give your station its own name, icon, and color scheme — our new wizard makes this fun and easy. Second, add your favorite podcasts. You can search by title or topic with the new Show Browser. For power users, they can also import shows from other podcast apps or the web. Once you have created a station, Scout FM does all the work for you. The station will automatically pick up new episodes and then play them in the order of your fondness to the show based on your listening habits. You can add or remove shows at any time. Google Home or any Chromecast device with Casting. Use voice commands like “Next” and “What is this?” to respectively skip a podcast or find our more about the podcast that’s playing. The Station Creator allows podcast fans to create and listen to stations in infinite combinations of genres, topics or moods. With more than 600,000 podcasts in the world, we can’t wait to see what they create.